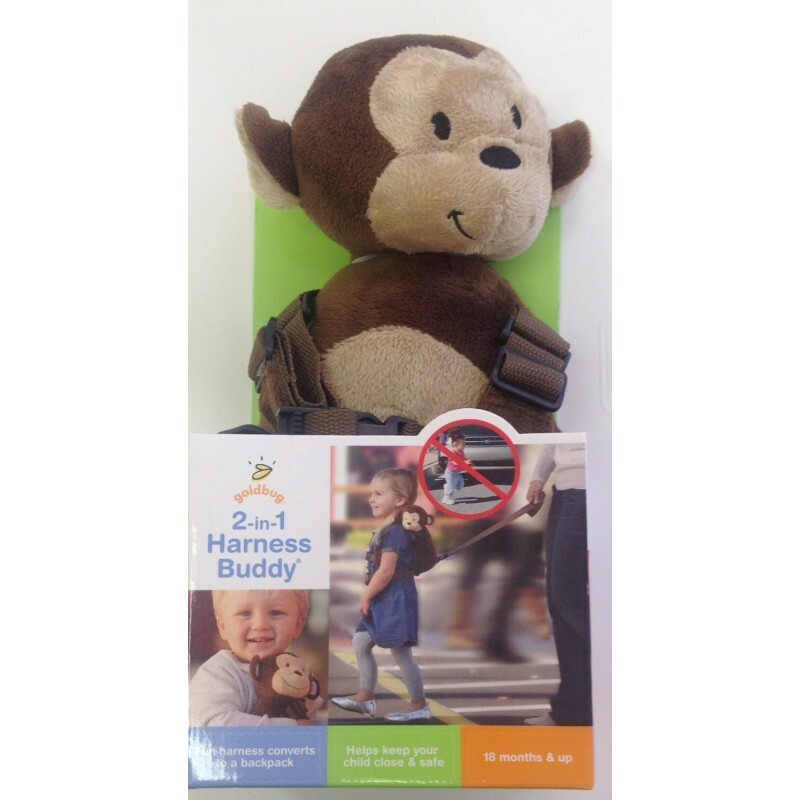 Friendly harness keeps child close and safe. Functions as both harness and backpack. Straps adjust as child grows. Dual buckle system for extra protection. Suitable ages: 18 months and up. The 2-in-1 Harness Buddy® functions as both harness and backpack. A fun and friendly way to keep your little one close in crowds. Just hold on to the animal's tail and your child will be safely in tow. Remove the tether tail and the harness easily converts into a backpack. A Velcro® pocket on the back holds kid's stuff. It looks cute and gives you peace of mind for family outings.